I graduated from Huazhong University of Science and Technology in Wuhan with dual bachelor's degrees in Computer Science and English. Then I got my master's degree in Computer Software Theory from Sun Yat-sen University (Zhongshan University). 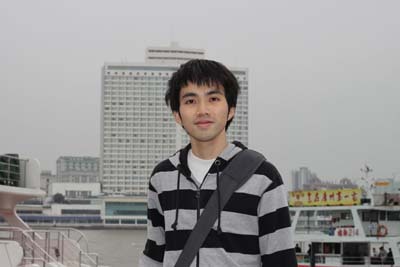 Now I am working as a software engineer in Guangzhou, China. To know more about me, you can also check my profile in linkedin or my blog. If you have any questions or suggestions about eGuideDog project, it will be very kind of you to let me know. Please contact me through <hgneng at gmail.com>. Thank you!